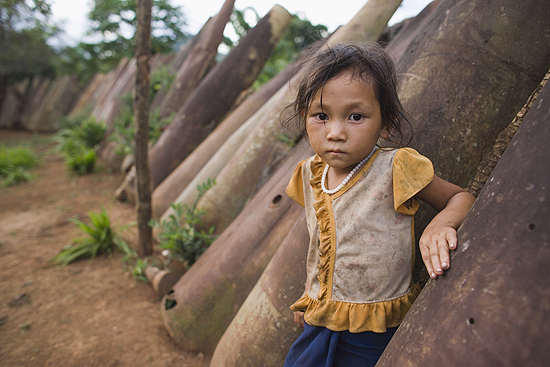 Growing up among unexploded ordnance is a reality for Laotian children. During the Vietnam War more than two million tons of bombs were dropped on Laos as part of a secret, U.S. military campaign dubbed BARREL ROLL. Up to 80 million pieces of unexploded ordnance continue to litter the Laotian landscape threatening the lives and limbs of children and their families. Caught in the crossfire of the Vietnam War for nearly a decade, millions of tons of U.S. bombs rained down on the Southeast Asian countryside of Laos. The North Vietnamese had been illegally crossing into the country as part of the famed Ho Chi Minh Trail supply route that provided support to the communist Viet Cong of South Vietnam. In response, the U.S. Military secretly bombed Laos, initially to disrupt the Trail and later to prevent the communist Pathet Laos from overthrowing the existing Laos government. I am very proud to be joining the VOICES FROM LAOS: Clearing Bombs, Protecting Lives Speakers Tour team as Communications Consultant. You will be hearing more from me on this in the coming weeks! In the meantime, please read more about the good work of LEGACIES OF WAR at www.legaciesofwar.org.